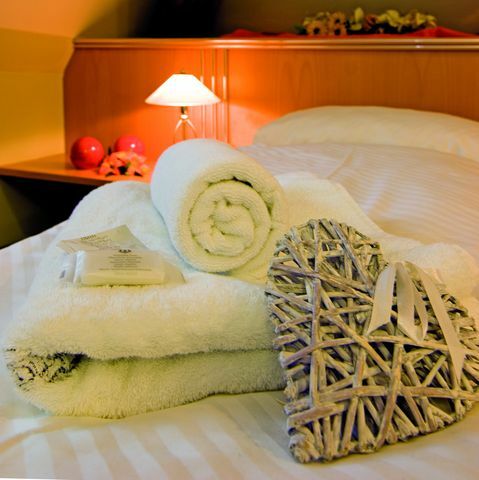 Our comfortably equipped guest rooms offer peace and space for your well-deserved relaxation. You can choose between different room, smoking and Non smoking rooms. desk, hair dryer, and partly minibar and telephone. In the morning waiting for our house guests a delicious and balanced breakfast buffet with homemade local produce for a good start to the day. We want you to feel completely comfortable. In the forester’s house there are 7 double rooms and 3 single rooms, further accommodation we offer in our inn. The story of one of the most senior building Kalchreuths goes to the 13th century. The cloud castle, as the property was popularly called, is located behind the church and served in the last 50 years as a forester’s house. After a checkered history the still existing house was built in 1759. After a successful restoration must be located within the ancient walls of the stately sandstone building henceforth feel comfortable overnight guests. 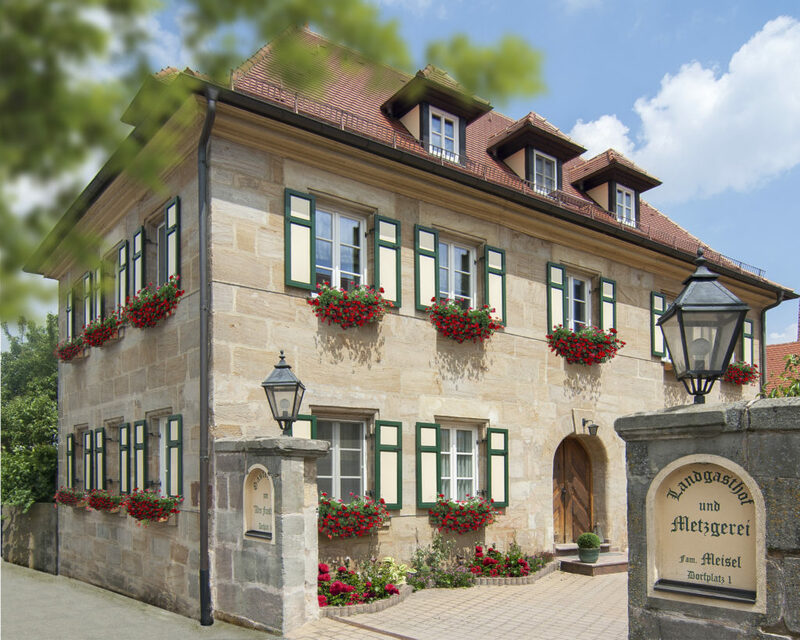 The Kalchreuth family Meisel has purchased the old house , restored and converted into a guest house / hotel. The term Cloud Castle leads the way back to the Nuremberg town family Wölkern who acquired the castle in 1764.